Is Lexington Financial Solutions one of the better debt settlement companies to work with or are they a scam? Lexington Financial Solutions got its start providing loan modifications. The company entered the debt settlement business in 2009. Learn what to consider when choosing a debt settlement company. According to a Lexington Financial Solutions person I spoke to, the company got its start 10 years ago providing mortgage loan modifications. In 2009, the company entered the debt settlement business. It has offices in Wisconsin and California, according to the person I spoke with. The company does not list its physical address on its Web site, nor does it list its company officers. This is neither a good nor bad sign, but it is somewhat disconcerting that the only obvious means of reaching the company is through its 800-number. Lexington Financial Solutions displays a TASC logo on its home page, and states it is a TASC member on its "about us" page. TASC is a non-profit organization with the goal to "to bring professionals, legislators, and consumers together to promote good practice in the debt settlement industry," as stated on the TASC home page. TASC members promise to abide by a code of conduct. However, the TASC Web site does not list Lexington Financial Solutions on its list of members, as of the date of this writing. Perhaps TASC’s Web site is incorrect, or perhaps Lexington Financial Solutions is not a member of TASC in good standing. Editor’s note: Bills.com learned in August 2010, that according to the company, a miscommunication between TASC and Lexington Financial Solutions lead the company to believe that its TASC membership application was accepted, which prompted it to display the TASC logo on its Web site. TASC does not list Lexington Financial Solutions as an affiliate or member as of August 2010. The company removed the TASC logo from its Web site, but states it is a TASC accredited on its "What makes us different" page. Lexington Financial Solutions has no listing at the Better Business Bureau. It is impossible for me to say whether Lexington Financial Solutions is a good or bad debt settlement company given the lack of information available about the company. The company displaying a TASC logo but not appearing in TASC’s list of member is concerning, as is the lack of location information available on the company’s Web site. If the company has been in the debt settlement business for less than a year, that raises a question about the collective experience of its employees. 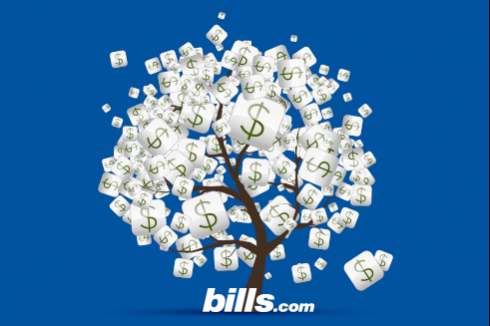 See the Bills.com Reputable Debt Settlement to learn more about the factors you should consider when choosing a debt settlement company. Hello everyone. After reading this blog I just could not sit still and not stand up for them. My wife and I actually did enroll with them and they have settled our debt within 2 years of timeline. We were very pleased and surprised. Well, good surprise that is. The length of our enrollment time should have been about 3 years or 36 months. Well, 2 years we just can’t complaint about that. They did delivery what they said they would. My wife lost her job at the end of 2007 and it has been very difficult journey for us. Weekly we were getting allot of threatening and harassment debt collector calls. Needless to say, we had well over 45,000 dollars + in debt and our hardship also caused us to go behind on our mortgage. Their debt analyst agent called us one night when we were eating dinner and we never knew about settling debt in an option. We thought bankruptcy is our only choice. We had 700 + credit scores and never late on our payments. We were in dis-belief and thought this was too good to be true. They didn’t ask any upfront money whatsoever and their staff was very professional to say the least. We have reviewed all of their agreement and were able to electronic sign our enrollment; that was a nice technology piece I must add. Thereafter, our initial enrollment we have received an introduction package mailed from Lexington and the steps to combat these collection calls. They did give us our rights and taught us how to stand up for ourselves. They were all in the package. We were assigned with our own account and all statements that I faxed were in my account showing up right as PDF just like my bank. We had a total control of our account. We did not suspected any issues that would cause us to be alarmed. We just settled and debt FREEEEEE now. That puts a smile on my face just writing FREEE and now we are finally done. I asked our assigned support agent about this TASC and mentioned about your blog. First I must say, they settled allot less than 45% of what we owned and we even got a refund check from Lexington. The client support agent told me a much different story than what you wrote here Bill. You are correct about that TASC sets many good standards however, it’s not required for them to join. The agent told me that TASC in fact is not a non-profit but they do ask $$$$$ to join as member. Now, I was confused first non-profit but they said that TASC do charge company like them to join as member. Well, I don't know why they didn't but I am sure there is a good reason behind it. Thumbs Up! I hope this helps. Sincerely, Michael and Debra B.
Lexington is definitely NOT a member of TASC. I will alert TASC, but sounds like a shady company doing illegal practices.